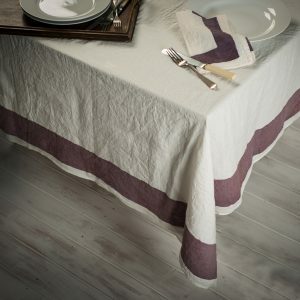 This very eye-catching Italian linen tablecloth features the individually hand-painted Gradation design of the celebrated Italian artisans at Stamperia Bertozzi. What is especially outstanding about this beautiful Gradation design is that it is not simply painted on and left to dry. 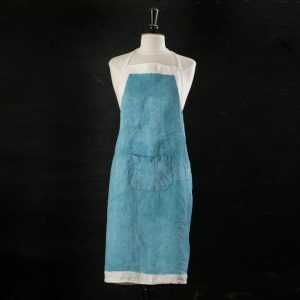 It is worked three times, which involves painting the linen using a different tone of the colour each time. The colour is then fixed each time with Bertozzi’s very own, unique technique of using steam – driven by solar power. 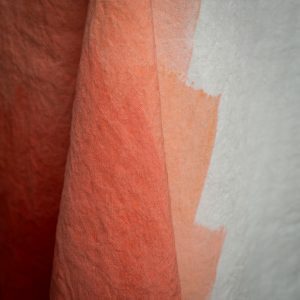 This results in a vivid colour that lasts longer for enduring pleasure. 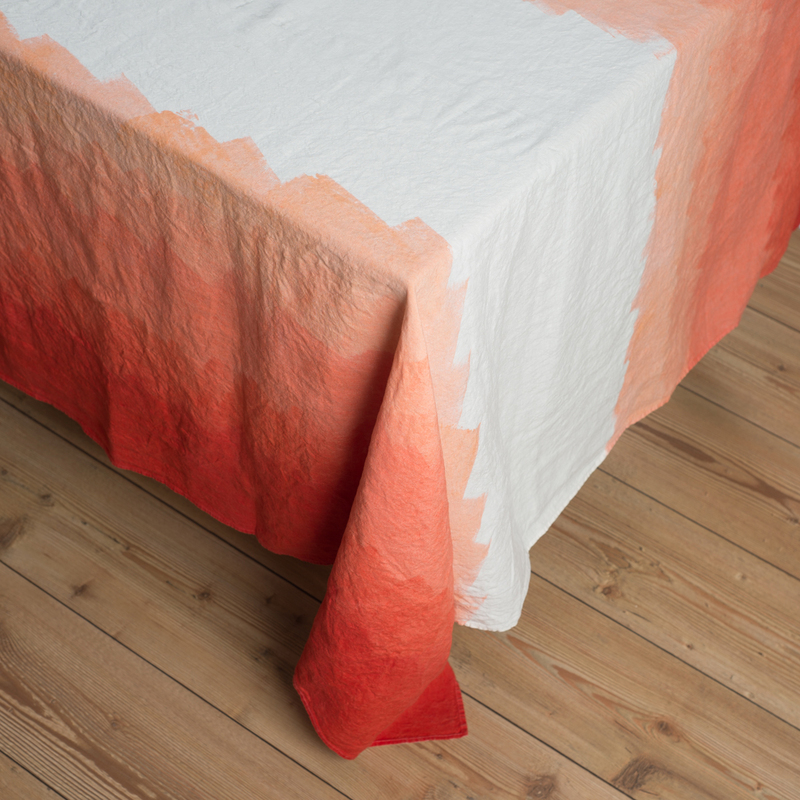 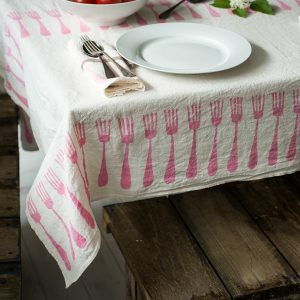 The carefully selected crumpled linen chosen for this tablecloth is not only natural and organic, but it is also traditionally woven and wonderfully light in weight. 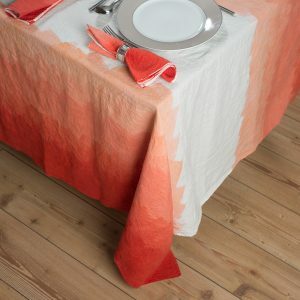 Its uniqueness creates such an impression that it enhances the style of any occasion, from a special evening event to a relaxed lunch with friends.